What went wrong with Oliver Mtukudzi? Two authors who worked under renowned musician Oliver Mtukudzi in different capacities in separate eras have written about the musician’s work and character. Former Mtukudzi lead guitarist Mono Mukundu dedicates a chapter of his book “Following the Melody” to his experiences with the singer. The musician’s former publicist Shepherd Mutamba has published two editions of Mtukudzi’s biography “Tuku Backstage” and he views the singer from various angles. Mukundu’s narration is an appreciation of the experience that he got from Mtukudzi and how his days at Black Spirits improved is life socially and materially. On the other hand, Mutamba’s account is hard-hitting and lets out a barrage of criticism about Tuku’s personality. 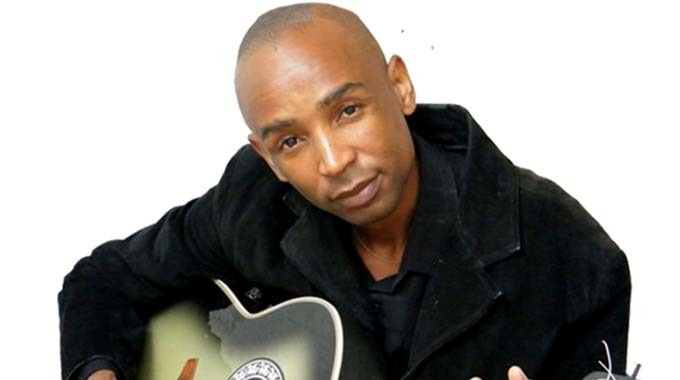 Because of his relationship with Mtukudzi, which turned sour towards his last days as the musician’s publicist, Mutamba’s account betrays shades of bitterness. Despite leaving Tuku’s band bitterly after being fired in unclear circumstances, Mukundu gives a retrospective narrative and highlights the positive gains of working for Black Spirits. While the writings come from authors with different backgrounds and persuasions, there is an underlying statement about changes in Tuku’s camp that the musician should not take for granted. Mutamba’s unbalanced biography cannot be justified, but juxtaposing it to Mukundu’s story would show that something could be going wrong in the camp. Tuku might need to compare his management skills and teams from the separate eras represented by Mukundu and Mutamba’s writings. Mutamba is wrong in trying to choose people that Tuku should associate with. His ranting about Tuku’s political affiliations or associations is misplaced. The accusations of Tuku’s infidelity and poor fatherhood are personal matters that are also obviously meant to tarnish the musician’s image. Unless personal decisions directly impact on career matters, the two should be treated separately. Tuku is not a saint. He is like any other human being with strengths and weaknesses. Above all he is a musician working in an arts industry that is never short of controversies. However, Mutamba raises points that should be put into consideration when he complains about the welfare of the band and other issues that have direct consequences to Tuku’s music and creative process. Unlike Mutamba, Mukundu worked with Tuku under a management team that created the musician’s most successful era and he says good things about his days with the band. 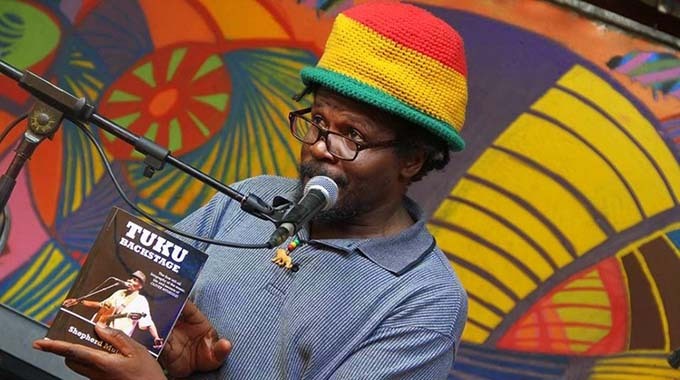 In an interview about his book this week, Mukundu justified his praise for Tuku by giving out solid examples of the changes that working for the band brought to him. He bought a house in Warren Park within the first year of his employment at Black Spirits and managed to acquire studio equipment for his Monolio Studio over two years. He has been surviving on proceeds from the studio since he was fired from Tuku’s band. On the other hand, Mutamba writes about sad working conditions and claims to represent suffering workers within Black Spirits and Pakare Paye Arts Centre. Although his account is apparently based on an insincere motive, Mutamba’s story should inspire questions about how Tuku’s management teams have been handling the band’s matters over the past few years. What made Mutamba so bitter about the same workplace that Mukundu writes so glowingly about? Of course, it is obvious that Mutamba personally has an axe to grind with Tuku for certain reasons, some of which he highlights in his book, but it is risky to classify all claims that the writer makes in a blanket of sour grapes. In his book, Mutamba mentions how Tuku’s wife Daisy has a say in matters of the band and influences decisions that may affect the group negatively. For those close to Black Spirits, it is not a secret that Daisy has an upper hand than anyone else including Tuku himself. Tuku is right to ignore or rubbish anything else that Mutamba alleges in his book, but he should seriously consider issues concerning Black Spirits and Pakare Paye Arts Centre. Some nuts might be slowly loosening off their bolts and hell will break loose when the wheels come off. Mutamba’s second edition of Oliver Mtukudzi biography “Tuku Backstage” has been met with mixed feelings in the literary and music fraternities. “Tuku Backstage 2”, which went on the market recently, is an extension of the first edition that was published in 2015. Just like this writer noted in a review of the first edition, the book is more of an attack on Tuku’s personality than a sincere presentation of the musician’s life and works. Save for a few cosmetics that were apparently incorporated to try and spruce up the biography’s appeal, material from the first publication dominates the new book. Having worked with Tuku for many years as his publicist, Mutamba could have made “Tuku Backstage” a perfect reference for the musician’s life and career if his emotions had not prejudiced his conclusive narration. Perhaps the bitterness is justifiable, given his sad story of harsh conditions that he endured as Mtukudzi’s publicist. It is normal for anyone who feels mistreated or abused by their employer to develop a heavy heart. No one wants to go for almost a year without getting paid for their work. Mutamba says he faced such harrowing experiences under Mtukudzi. Unfortunately, the writer allows the apparent bitterness to creep into other narratives that are not based on his personal relationship with Tuku. Although some chapters in the book give insightful revelation to Tuku’s creativity, Mutamba spoils his research with an appropriate tone meant to discredit good things that he would have noted about the musician. Mukundu’s chapter in his biography “Following the Melody” explores how he joined Black Spirits and his life changed. He says he got a call from Debbie Metcalfe who was Tuku’s manager then. She told him that they were looking for a lead guitarist and he agreed to join the band after a meeting with Tuku and Debbie. His first moment of happiness came when he was paid for just attending a show to see how the Black Spirits did their work on stage. He did not perform that night, but got his money as a band member. He says he did not know what to do with the money because he had never received such an amount. The years that followed saw Mukundu touring extensively with the group. He writes glowingly about his boss Tuku and how they would spend time together sharing notes.